Antique Style Vine Leaf Necklace and Earrings set, with a 20″ long gray tone adjustable chain dark brown, orange and white leaves. 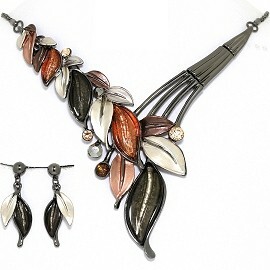 Antique Style Vine Leaf Necklace and Earrings set, with a 20″ long gray tone adjustable chain dark brown, orange and white leaves. 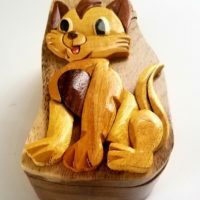 Comes boxed.